As stated earlier, a piano is an investment. In order to get the most out of your investment, you need to love and care for it. A clean piano is a happy piano. It’s important to make sure your piano lives a long, happy life; so, cleaning is imperative. Make sure that every tuning session is followed up with a cleaning session. We recommend hiring an expert to tune your piano. Not only can they deftly tune your instrument, they can also clean it! This removes a large burden from you, the owner. As for day-to-day cleaning, make certain that you are treating your instrument with respect. Dust your instrument with regularity and keep all foods and liquids away. One of the most important cleaning processes is the key bushing. These are the felt pads that live underneath the keys. Over time, this felt collects countless dust particles and miscellaneous clutter. If left uncleaned, the bushing could attract moths and cause damage. This is why we recommend cleaning your key bushing within five years. If you have never cleaned your key bushing, and your instrument is going on its fifteenth year, then it might be time for replacement. Contact your local piano maintenance person and have piano’s felt replaced. All pianos need to undergo regular tuning if you want a pleasant-sounding instrument. 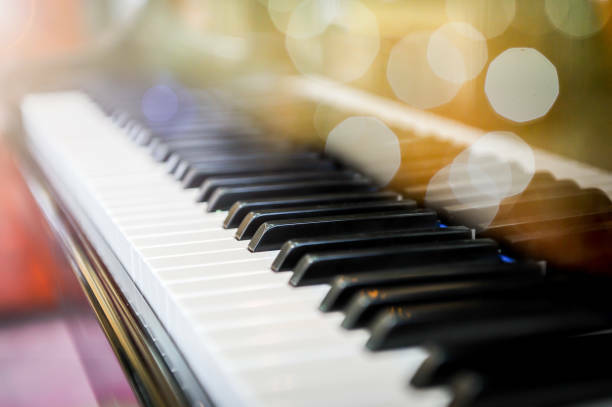 If you have a new piano , it should be tuned at least two-three times in the first year, as new strings will continue to stretch and go out of tune in the beginning. If you’re using your piano with extreme regularity, you may need to tune it more. Ask your local tuner what would work best for you. Another factor to consider is the season. Did you know the weather can affect the strings of your piano? It’s true; the pitch tends to follow suit of temperature drops and spikes. So, your pitch will fall during the cold winter and rise during the sweltering months of summer. This is the reason many seasoned pianists tune their instrument prior to these changes.